Stock Watch (9/13/2011) | The PoulTrend Daily! Tags: 52 week high, Business, BX, Dividend, Gambling, Investing, Metro-Goldwyn-Mayer, MGM Resorts International, SODA, Starbucks, Stocks and Bonds, The Blackstone Group L.P. Listed Below are 5 Stocks to add to your watch list the coming week, months ahead. 1. HollyFrontier Corp – (HFC) (-5%) of which 5 days ago was trading at $37.92. As they just announced they will go ex – dividend tomorrow, many may be dumping there stocks to re buy at a low. 2. Sodastream International Limited -(SODA) (+5%) of which had a 52 week high of $79.72 is currently at $40.00 which is almost 50% off of the high. I am Long SODA, as I feel it has great potential to crank in great Return on Assets, and Equity, Plus net profit, and revenue will continue to jump long term. 3. The Blackstone Group L.P. – (BX) (+3%) of which is trading around $7.00 off its 52 week high of $19.63 is a sound investment long term. With a 0.10 dividend, and a yield of 3.16. The potential upside, factored in with the dividend payout is solid for many investors to want to eye. 4. MGM Resorts International. – (MGM) (+2%) of which is trading $4.50 off of 52 week highs of $16.94. Even in a down economy, gamblers continue to gamble. Not to mention with the online poker thing still on major crack down, the ones of who used to gamble at home, will be heading to the Casinos, to do there betting. Long Term growth, with a possibility of someday adding a Dividend. 5. 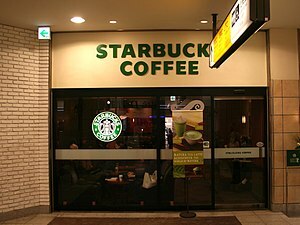 Starbucks Corporation – (SBUX) (+.085) an investment of which I feel could be a stock for the next 10 years. As Starbucks aims for the market overseas, now we can see how big this company can actually get. With the profits, and revenues of which Starbucks generates, the only future ahead for Starbucks is continued growth, and dividend payouts. Disclosure – I am Long all the stocks named.